The turn of the century farmhouse and property have been restored into a breathtaking vacation rental with four accommodation options that sleep up to 24 guests. The main 5-bedroom Farmhouse, 2-bedroom Guesthouse, Cozy Cottage Studio, Water Tower Suite, and our elegant 4,000SF Barn. The Flying Caballos Ranch is the perfect place for a getaway with friends and family and also serves as an incredible spot to host your private celebration during your stay. For more information on hosting your celebration at the ranch, please visit our Celebrations page or contact our onsite Property Manager / Event Coordinator. The newest addition to Flying Caballos Ranch, our incredible 4,000 sq. ft. barn! Enjoy the feeling of a rustic barn space with an elegant and modern take complete with numerous amenities and great attention to detail inside and out, making it the perfect setting for your special event! 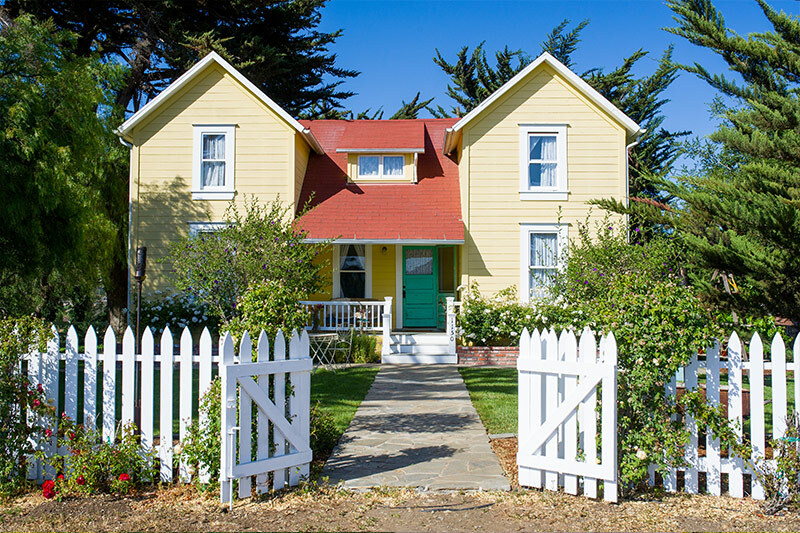 The historic 5-bedroom, 2-bathroom farmhouse can accommodate up to 12 guests (2 queen beds, 3 double beds, and 2 daybeds). Each bedroom is unique and has been decorated with the utmost attention to detail. 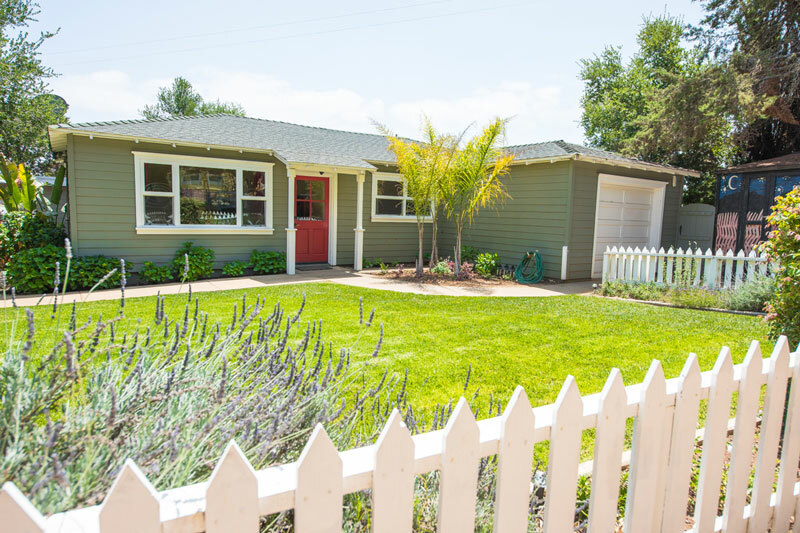 Featuring a full vintage kitchen, two separate dining areas, and a cozy living room equipped with TV, sound system and is set on expansive grounds with breathtaking views. With extensive amenities and a magical setting, it’s the perfect place for your special event. 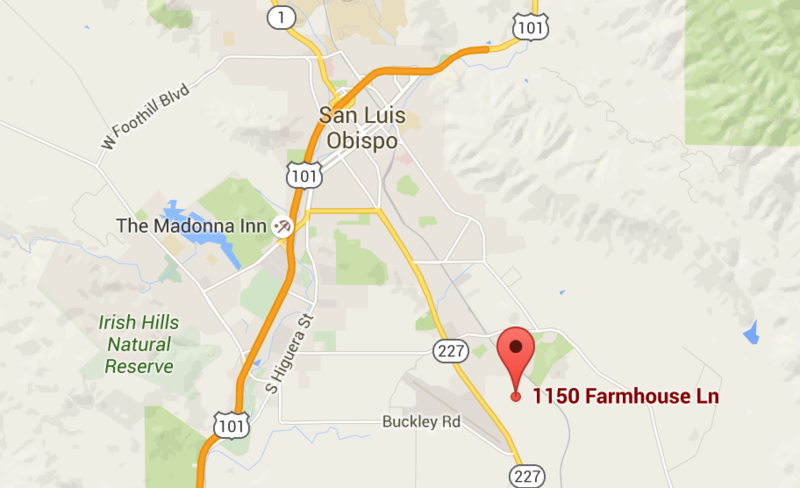 The Guesthouse at the Flying Caballos Ranch sits next to our century old farmhouse in the rolling hills of Edna Valley. Built in 1952, this 2-bedroom, 2-bathroom guesthouse can accommodate up to 6 guests. Each room in the home is unique and has been decorated with the utmost attention to detail, and a host of features and amenities. 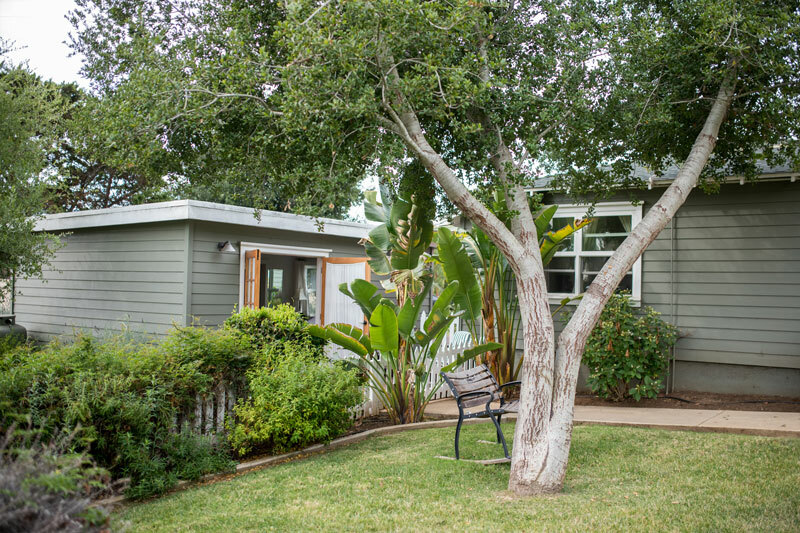 The Cozy Cottage studio has a private entrance, patio with lounge furniture, and fenced yard. The studio features a queen bed and a sofa sleeper accommodating up to 4 guests. Set slightly back from the other homes, the Water Tower is the perfect private getaway and serves as an incredible Honeymoon Suite! 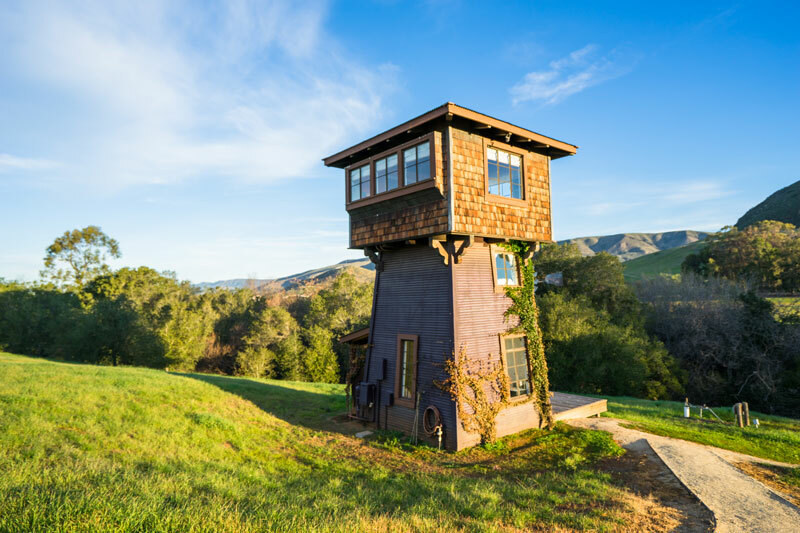 This artistic 3-story tower has a small dining area, kitchenette, bathroom, outdoor shower, queen bedroom, and an office / lounge area overlooking the Edna Valley. The Flying Caballos Ranch is located in the rolling hills of Edna Valley Wine Country, less than 5 minutes from downtown San Luis Obispo. The picturesque central coast property combines old world artistry with modern amenities and is an entirely new genre of accommodation, offering the luxuries of a hotel stay on a sprawling historic ranch. The turn of the century farmhouse and property have been restored into a breathtaking vacation rental with four accommodation options that sleep up to 24 guests. The main 5-bedroom Farmhouse, 2-bedroom Guesthouse, Cozy Cottage Studio, Water Tower Suite, and all new 4,000SF Elegant Barn. 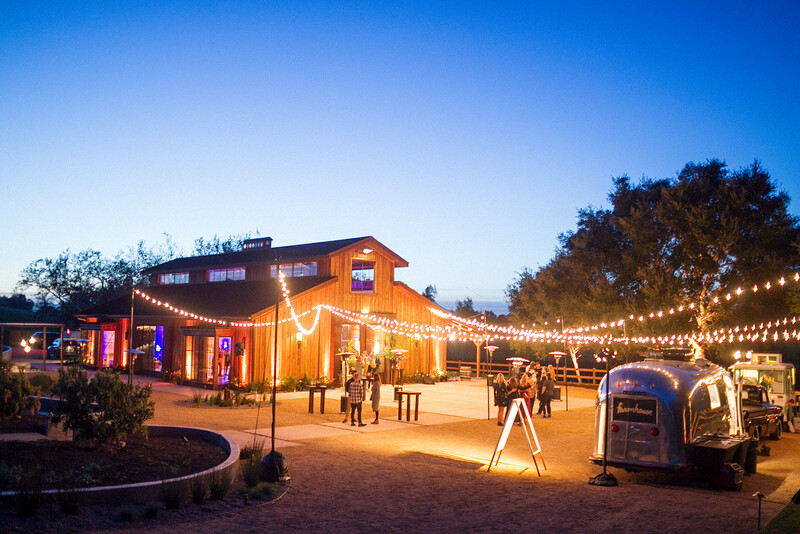 The Flying Caballos Ranch is the perfect place for a central coast getaway with friends and family and also serves as an incredible wedding venue or to host your private celebration during your stay.